Do you think your business will benefit by creating a harmonious working environment? Are you confident in dealing with difficult situations? Could conflict in your team be impacting on staff retention? Conflict in the workplace can have a significant effect upon productivity, motivation and the retention of staff. 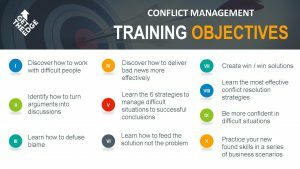 This highly participative programme analyses the types of conflict that occur, and sets guidelines for managing such situations. This intensive one-day programme has been specifically designed to instruct Managers and enable them to reach positive resolutions and to cool heated situations. The workshop will consist of practical interactive exercises to ensure a deeper understanding of real-life situations. 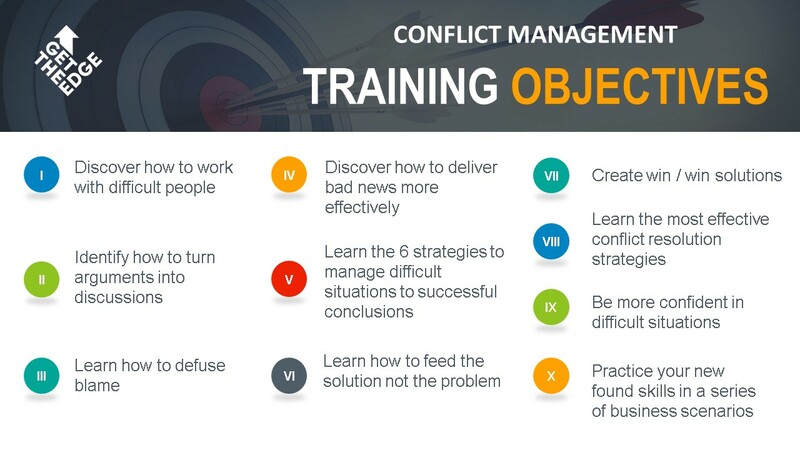 By the end of this workshop, Managers will be able to use techniques that enable them to deal confidently with conflict, disagreement, aggression and other strong emotions.